LG takes a trick shot at gaining a larger share of the smartphone market by marketing to dudes. The electronics giant, headquartered in Yeouido-dong, Seoul,has joined forces with YouTube sensation “Dude Perfect” in an action-packed product placement video. The former Texas A&M students are still making their jaw-dropping videos, but now they do so in a tricked out office. With corporate backing, of course. As Dude Perfect has done before with products from Pennzoil, Nerf and Pringles, the group’s new video features an LG smartphone. The amped-up young guys give a tour of their new office, accomplishing all sorts of athletic feats that neither you nor I will ever achieve. LG smartphones strapped to remote-control cars capture the action, showing off the phone’s impressive camera. What’s really clever is the way the LG brand is seamlessly integrated into the content. Other than a very brief rundown of the phone’s features at the end, it doesn’t feel like “Dude Perfect, Presented By LG Smartphones.” It feels like any other Dude Perfect video, it just happens to include an LG phone. 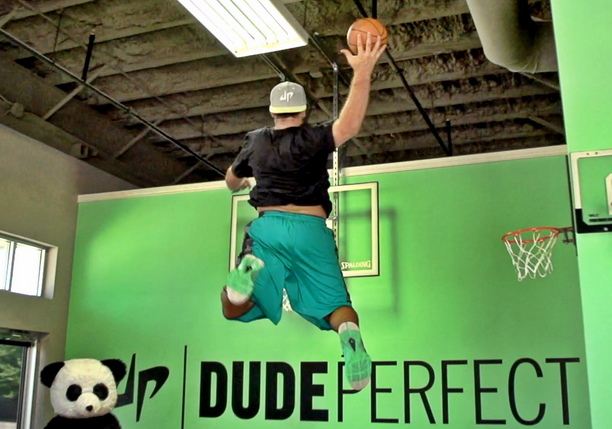 By teaming up with Dude Perfect, LG gains exposure to the youthful group’s nearly 3 million YouTube subscribers. The company currently sells just 6.5% of smartphones in the U.S. LG hopes this cross-promotion will be the ‘perfect’ way to gain a larger market share in the industry, dude. LG is a “smart” brand.